I recently had the pleasure of photographing Tushka, and what an absolute sweetheart she is. Tushka is 14 years old, though you'd never know it from her energy and excitement at her photo shoot, both which made me smile so very much. Every now and then she would have a burst of excitement, running towards the sunlight and rolling in the long grass. Her happiness was captured in my memory as well in my camera. She filled my heart to the very brim with her unconditional love and joyfulness. Our shoot took place in a park in North Bristol. Surrounding by the springtime greenery and golden sunlight, we were blessed with a perfect location as well as weather. I saw the bond between her and her mum and knew immediately that it was very special. Senior dogs have a very special place in my heart. They have dedicated their entire lives to us. They have shown us loyalty like nobody else, and have been the most faithful friend you could ask for. They give us so much love. It was clear to me that Tushka had endless amounts of it. These are a few of my favourite photographs from our session. Tushkas' beautiful dark eyes peering right down into my lens as the magic of spring dances around her. 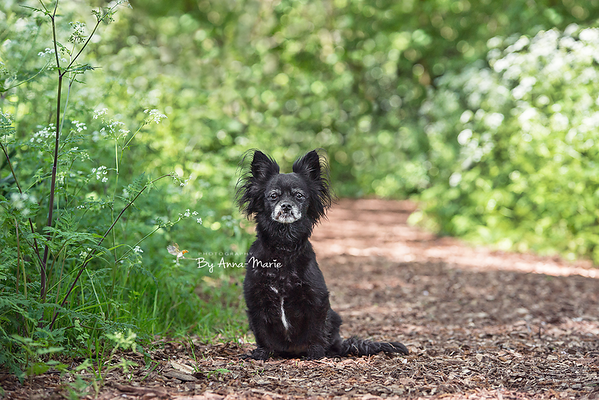 If you would like to book a senior dog photo session, please contact me. 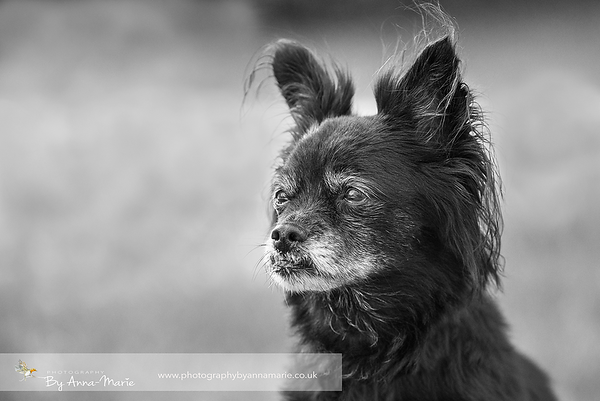 Dog Photographer & Portrait Photographer in Yate/Chipping Sodbury. Covering Gloucestershire, Bristol, Bath, Somerset, Wiltshire & The Cotswolds.